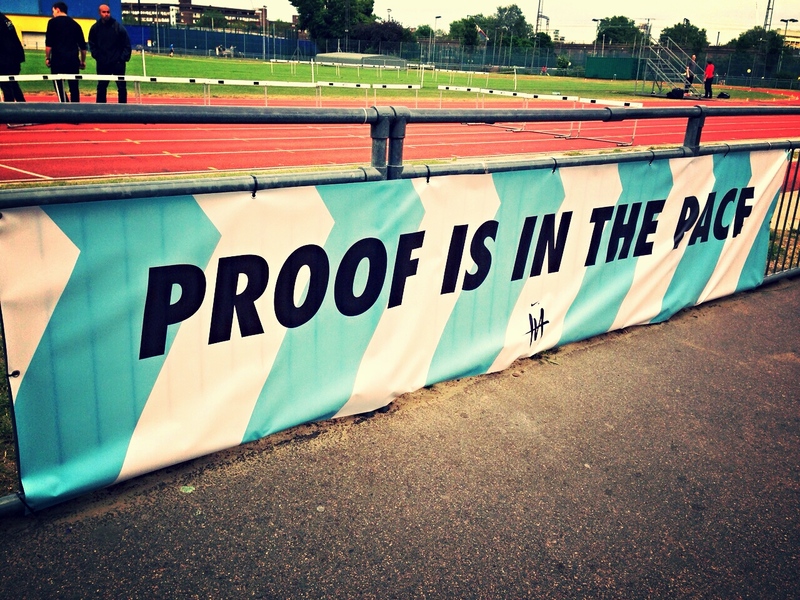 Last month Nike launched the Nike Milers Campaign ‘Proof is in the Pace’ aiming to encourage people to get out there and run. Not only for a jog, but set themselves a target, like run a mile as fast as you can. 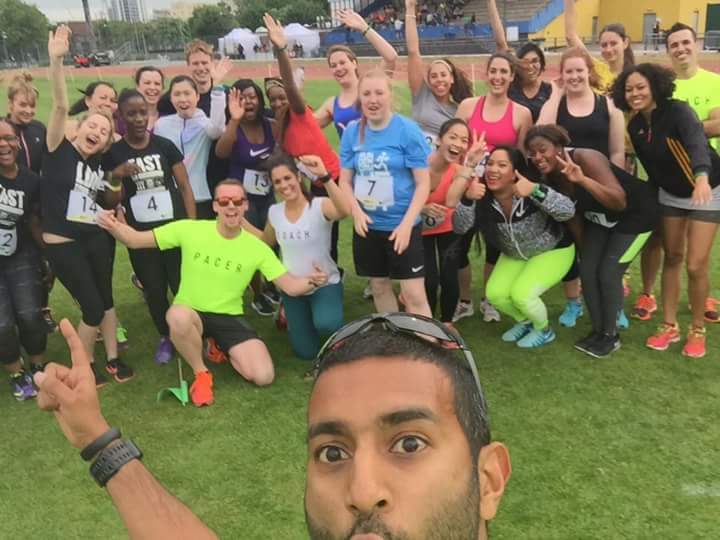 As part of the campaign Nike is running a series of trial track events as well as track nights every week. 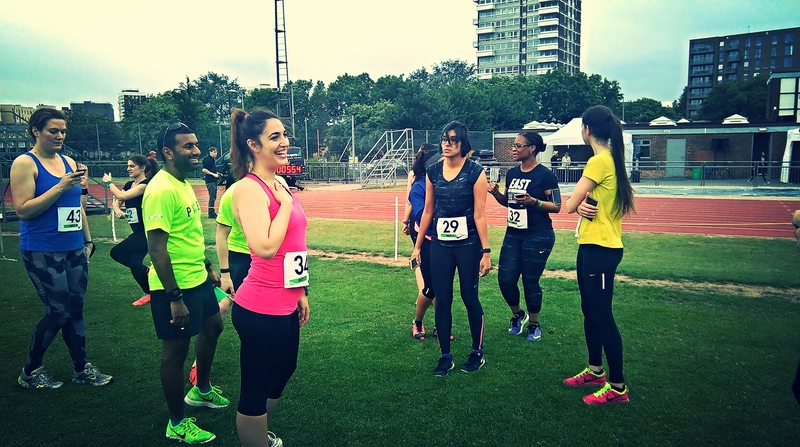 Last Wednesday evening saw the first in the series of the Nikemilers track trial events at Mile End Stadium. 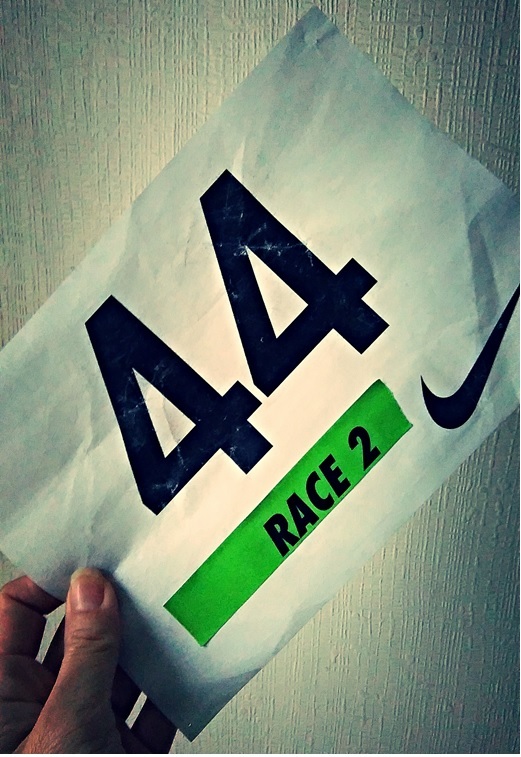 As I had not ran on a track before, I was intrigued and decided to signed up for the event. I honestly had no idea how to get to Mile end stadium, thankfully I got a lift from a colleague. When I arrived at the stadium entrance, I was delighted to be greeted with lots of friendly and familiar faces. I guess the statement says it all ‘Prove is in the Pace’ I was thinking maybe it was going to be just a causal session on the track, but then I bumped into NTC trainer Kezia and she told me we were running 1 mile races where we will be divided into groups depending on what our speed per mile was. Wow, this will be fun… run your fastest mile. This was actually like an official race where we were given bib numbers with time chips on the back and a number race. The atmosphere was amazing, I was actually feeling a little nervous as it really did feel like a race (well against myself). 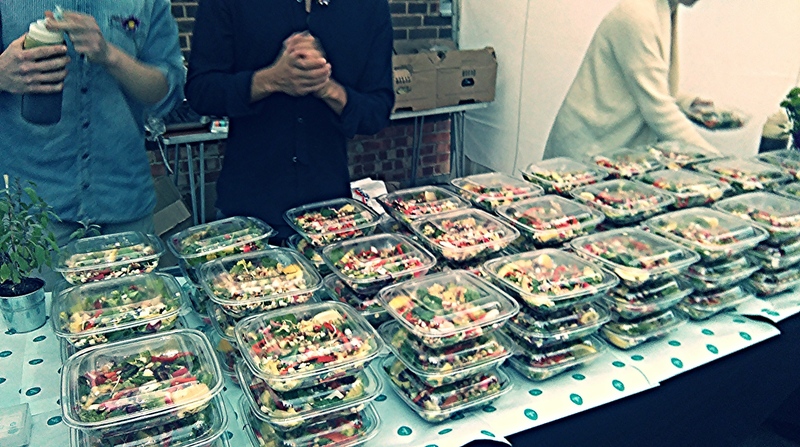 Nike always knows how to organise a great event. Inside the stadium there was camera crew, pumping music from the fabulous DJ and NTC Trainer Tania and of course lots of runners. I had put down for an 8 minute mile, but some how I was put in the 2nd group for runners of 9 minute miles. But nevermind, this was a chance for me to prove to myself I can run faster. 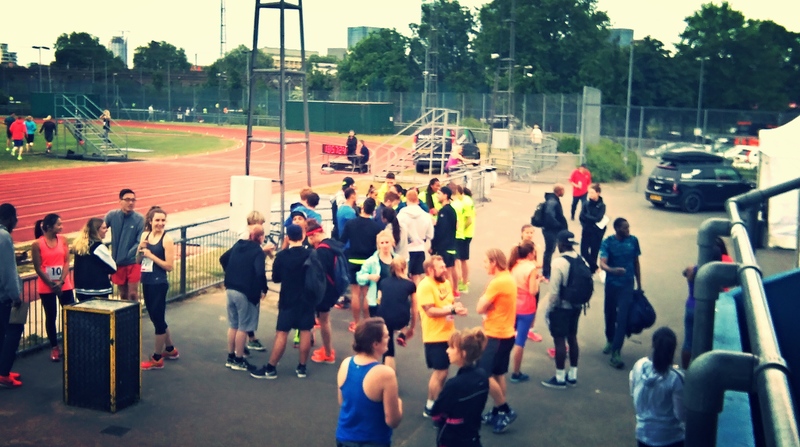 Everyone sat down at the seating arena where Nike welcomed us to the Special Nike Milers Trial evening and introduced British Athletics Coach James Brewer where he gave us a quick talk before the groups got ready to race. Races 1 & 2 were called (that was me race 2). We heading onto the grass area where our pacers took us through some warm ups after which race 1 moved over to the start line. We did a 2nd set of warm-ups while race 1 got underway. It was nearly time for us, so our group moved over to the start time (OMG! I was feeling quite nervous, but excited at the same time). I said to our pacer Joel, can I start off slow and gradually build up speed, he laughed and say this is a 1 mile race, there’s no time to start slow… hehe that was true. Race 1 underway, while race 2 were warming up. And the gun went off and I started running… the surface felt so bouncing a first experience for me running on a track. When I ran the first lap my legs felt tired, can’t believe I still had 3 more laps to go. But some how after the 2nd lap I got into a rhythm and actually started running faster. I finished with a sprint and was pretty please with my time. A new 1 mile PB. 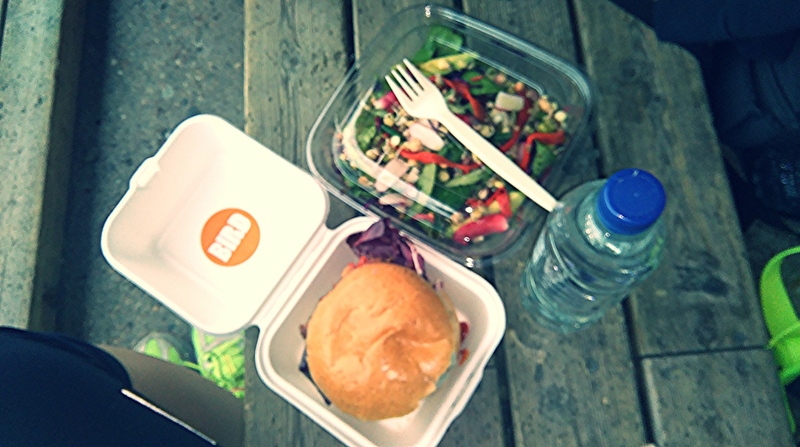 After the race we were treated to some delicious food; Chicken burger with crunchy slaw, Kewpie mayo, hot sauce & pickles courtesy of Bird Restaurant and delicious mixed salad from O-Food. 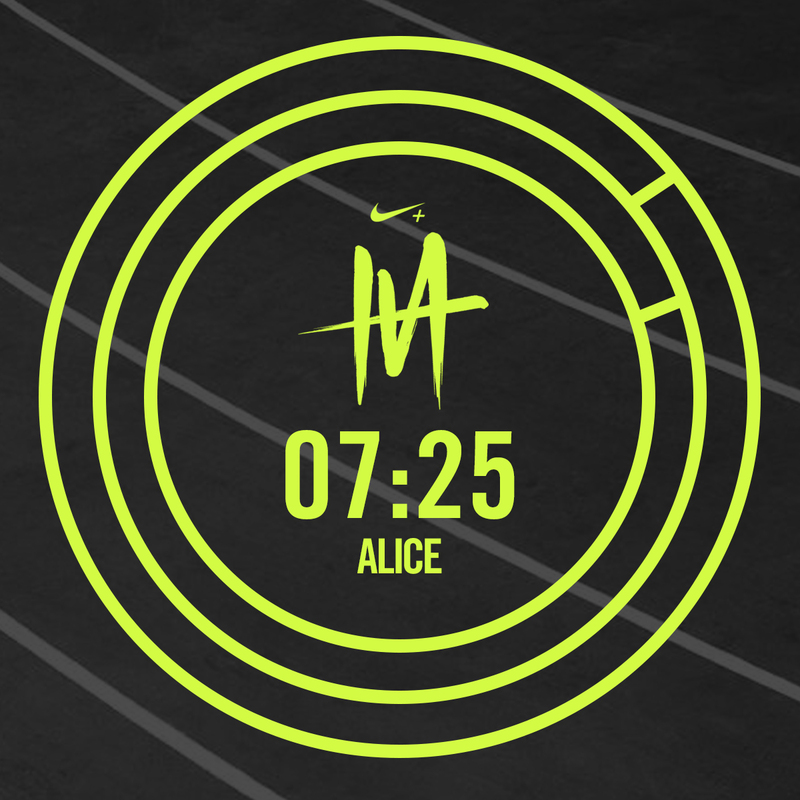 This is the first of the Nike Milers events and I had such an great evening, will definitely sign up for more track sessions where they will be exploring new surfaces to run a mile. 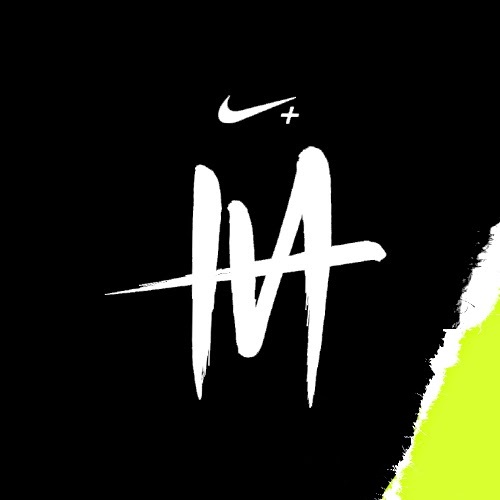 Next time it could be on grass or sand, keep a look out on the Nike+ London run page. Photo taken by Joel, Nike Pacer. 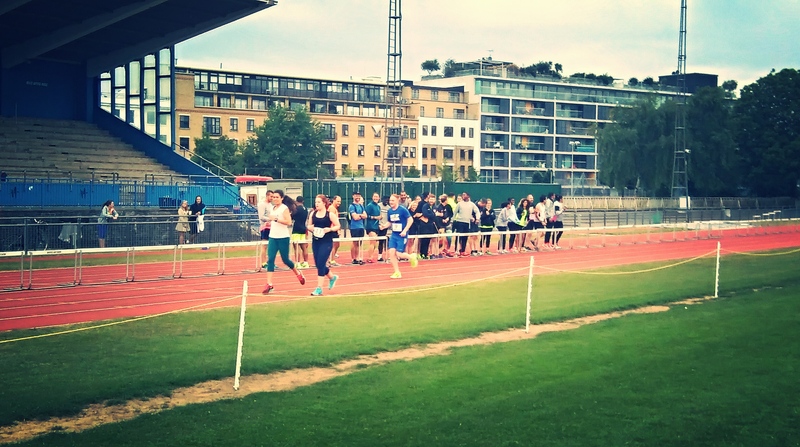 Other track evenings focusing on speed, intervals run every Wednesday at Mile End Stadium, you can sign up here.